Chalkboard with “Budget” written on it. 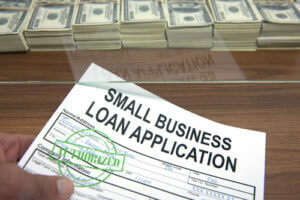 Photo courtesy of Shutterstock. Who has the time and energy to work, earn money, and study while attending college? Here are some slick tips to help you stick to a budget in college and give you a leg up when it comes to figuring out first time finances. You listed expenses and income, set priorities in case funds run short, and allocated an amount to each item, right? If not, do this today. 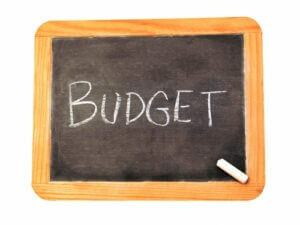 Use free, online budget software and worksheets you can download, or make your own. 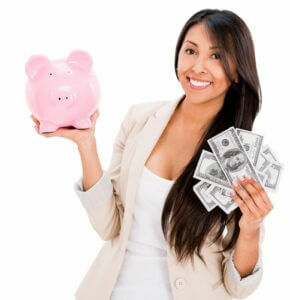 Savings – List as an expense each pay period. Use only for planned purchases like books or travel home. Gifts, cards – Don’t be robbed of the joy of giving. Emergency savings – Covers out-of-pocket expenses like ER co-pays, major car repairs, or a lawyer should you need help fighting traffic tickets, for example, but not that college students are ever in a hurry, of course. 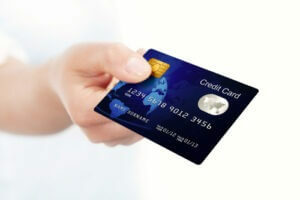 Closeup of hand holding a blue credit card. Photo courtesy of Shutterstock. Young female graduate in cap and gown. Photo courtesy of Shutterstock. 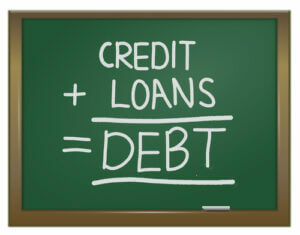 Chalkboard showing credit plus loans equal debt. Photo courtesy of Shutterstock. Graduates smiling and holding diplomas. Photo courtesy of Shutterstock.